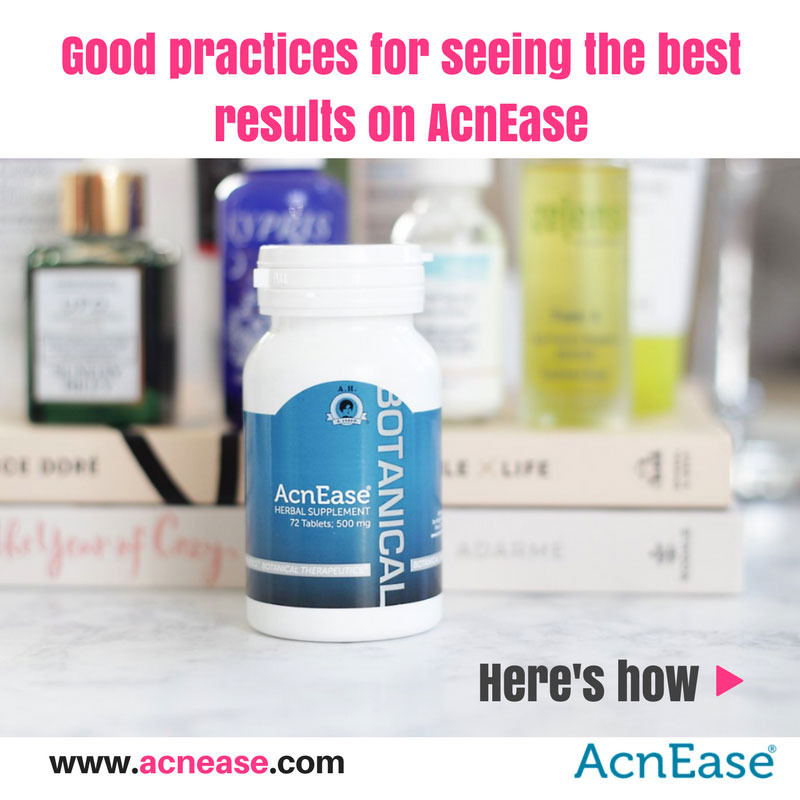 When many people begin a new acne treatment, the goal of obtaining clear skin is the main thing on their minds, but in addition to keeping all eyes on the prize, it’s important to understand just how to make the most out of your new skincare regimen. 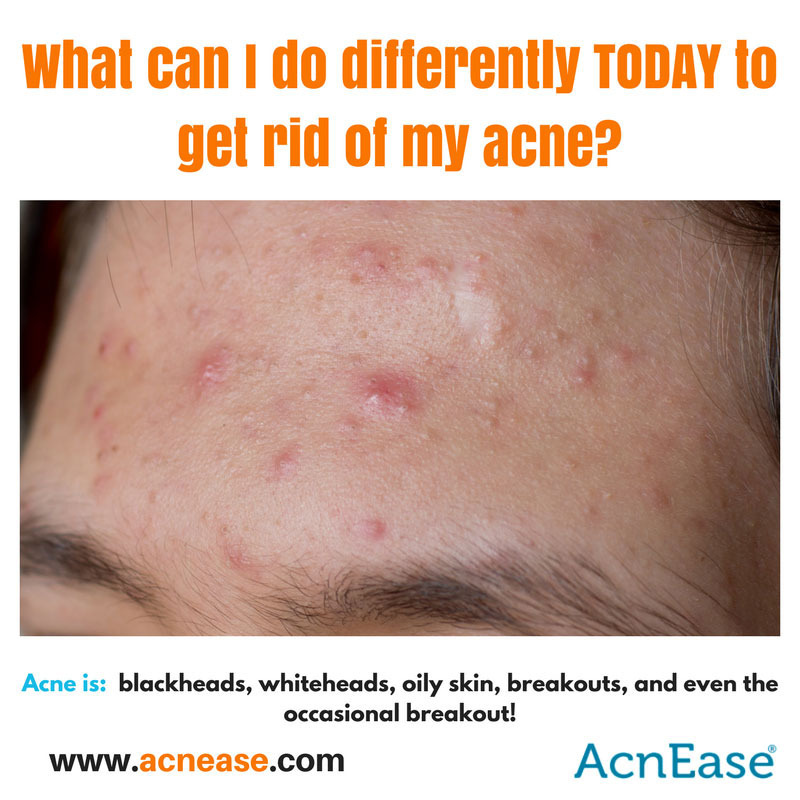 5 Ways to Make a Huge Difference in Clearing Acne TODAY! For anyone with acne-prone skin, who doesn’t want to get rid of the issue overnight? Many people have patience, but many don’t. And unfortunately, our judgment can get cloudy and we only look for a solution without looking at the underlying cause. So instead of focusing your search today on the next best thing that is guaranteed to help you whether it be in a day or 6 months, it’s important to understand two things: how and why acne forms, and how important it is to develop ongoing healthy lifestyle habits. 4 Easy Steps to Clear + Avoid Breakouts for Valentine's Day! With acne-prone skin, you wanted clear skin like yesterday. And you certainly don’t want to worry about whether or not your skin is going to look good or not for an upcoming special day. When many people look to rid their skin of acne, a topical wash, cream or spot treatment is usually the first thing they reach for. 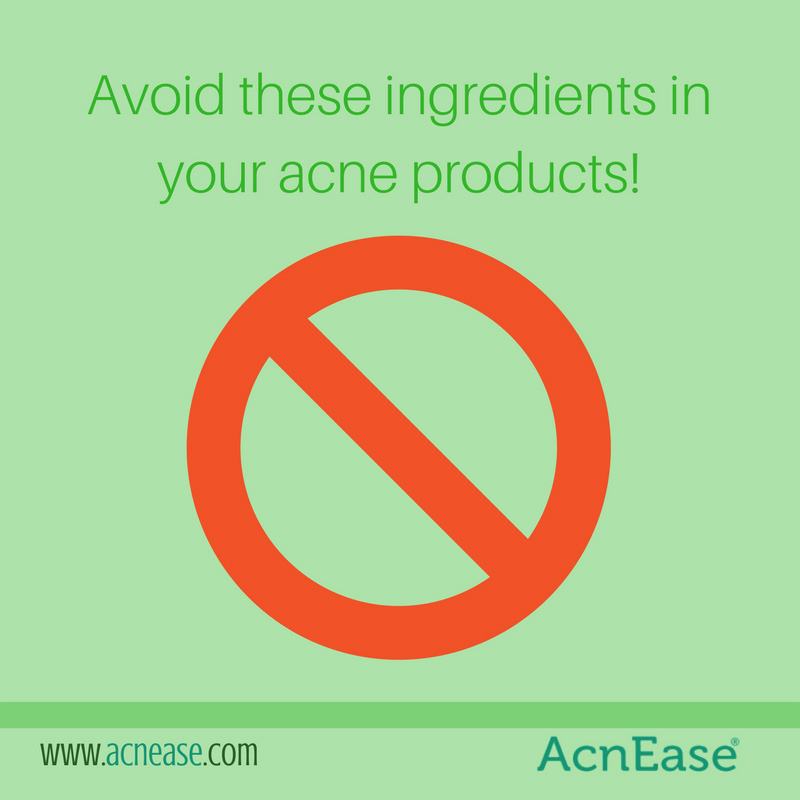 3 Acne “Fighting” Ingredients that Can Increase Signs of Aging! 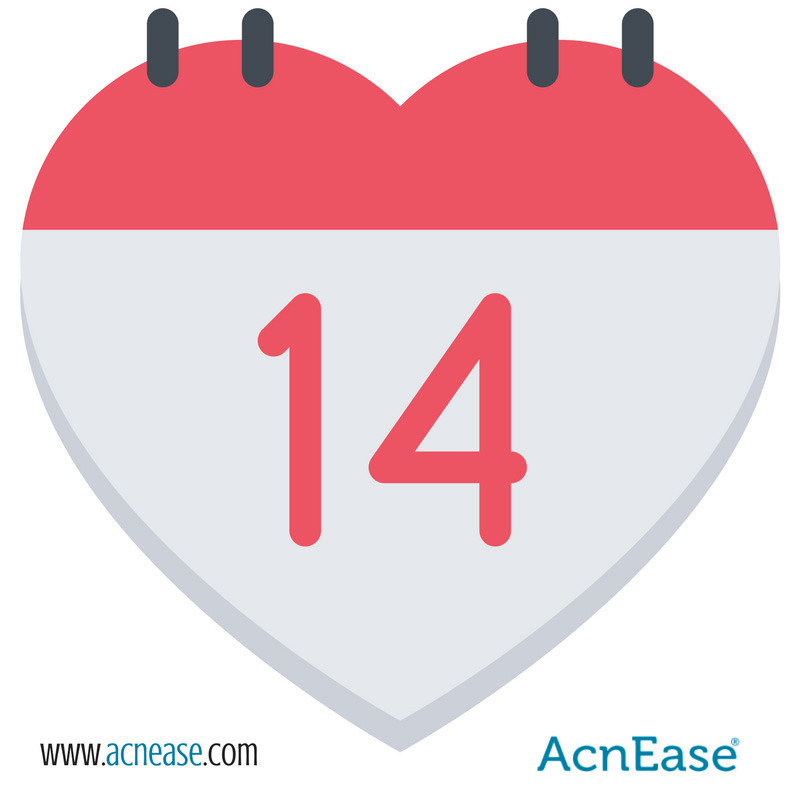 When it comes to addressing acne, many will go to great lengths to treat their condition, but did you know that certain ingredients commonly found in many topical acne treatment can age your skin quicker? Acne is the most common skin condition in the United States, and many people have experienced symptoms that appear on the skin as breakouts. 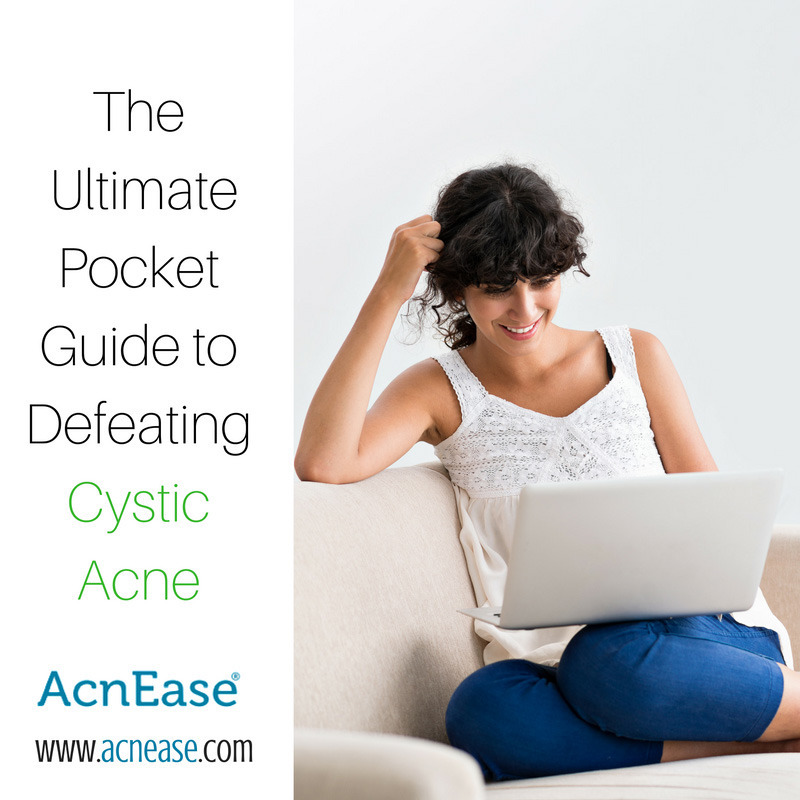 Some types of acne are harder to treat than others, and cystic acne is among the most stubborn, but with the right approach, even cysts can be eliminated for good. Out with the old and in with the new! 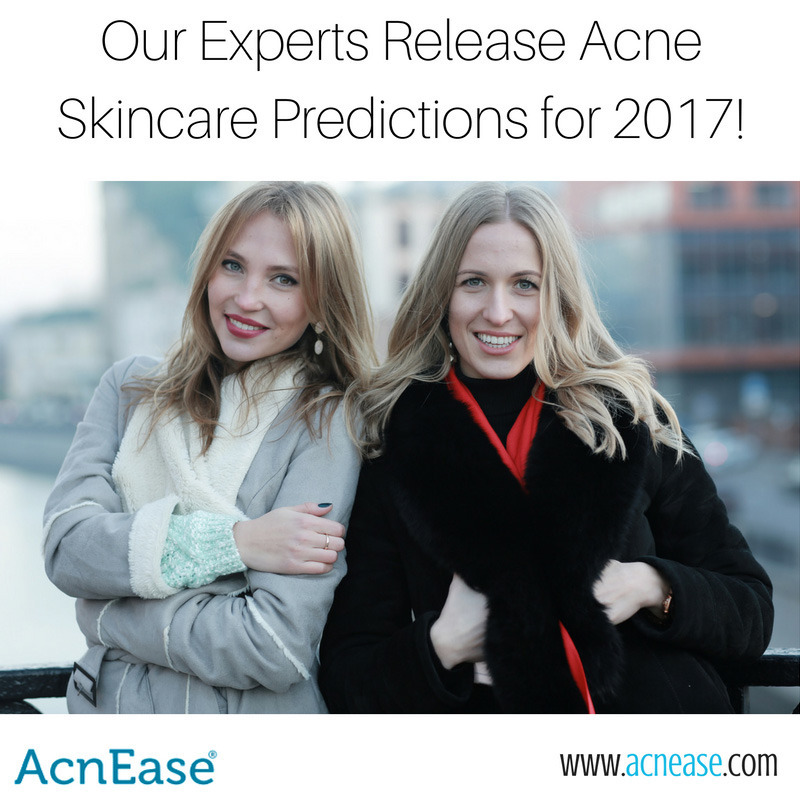 This year is sure to come with a lot of new treatments, techniques, and trends in skincare. We sure are looking forward to seeing all that 2017 has to hold. With the New Year right around the corner, we always want to look our best for those big (or not so big) plans we’ve made. 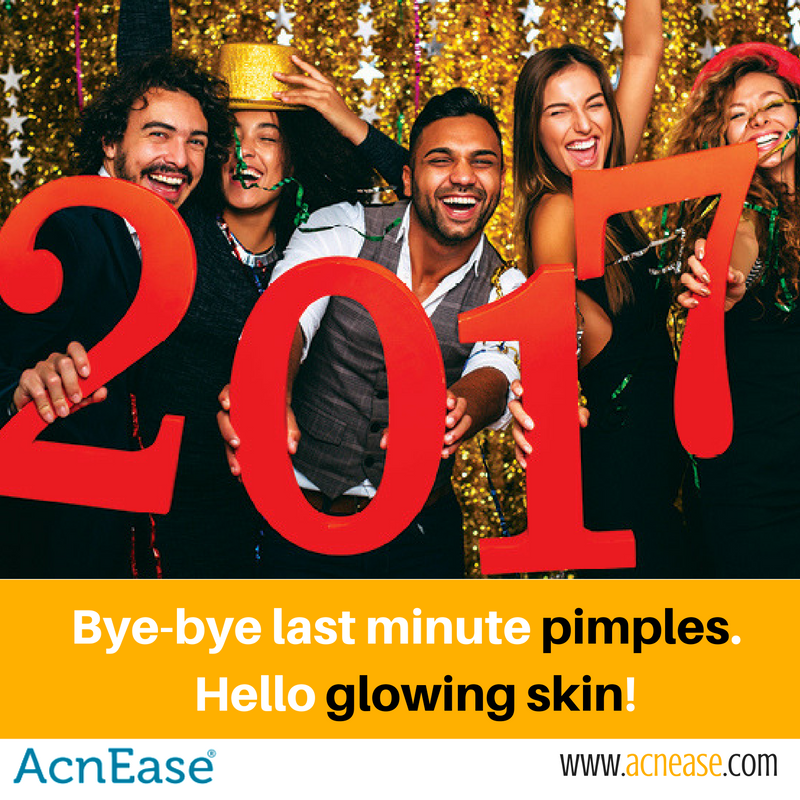 For anyone with acne, this can be a stressful time, but with the right tools you can step into the New Year with your best face forward. Holiday Recipes That Won’t Make You Break Out! 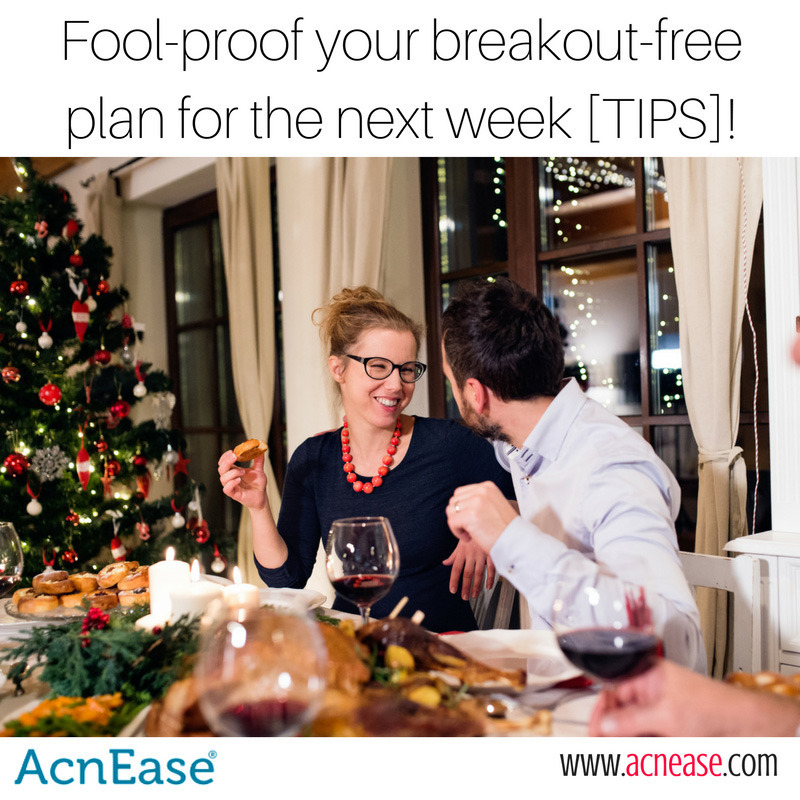 With the holiday season here, both our time and our dietary care can slip away from us, which can lead to acne for some people. Food isn’t responsible for acne, however there are some foods that are more disruptive than others, which is why it’s important to recognize how our diet can affect us and our skin. Q: I want that “holiday glow” this season but my skin is not cooperating. What should I do? A: It’s the most wonderful time of the year, but not for your skin unfortunately! Parties with sugary treats and alcohol, late nights, cold temperatures, drying winds and dry indoor heating systems can wreak havoc on your skin and call for some emergency updates in your skincare routine. The best way to achieve glowing skin for the holidays is simple: keep it hydrated and exfoliated whenever you can. And don’t forget the old adage, “you are what you eat… and drink” as well! And since many of our readers have severe acne, exfoliation needs to be done with extreme care or not at all until the major lesions and cysts heal. So keep reading and get glowing! Family, travel, feast with friends - the holidays are a time of celebration for many, and great way to relax and recharge for the new year ahead. 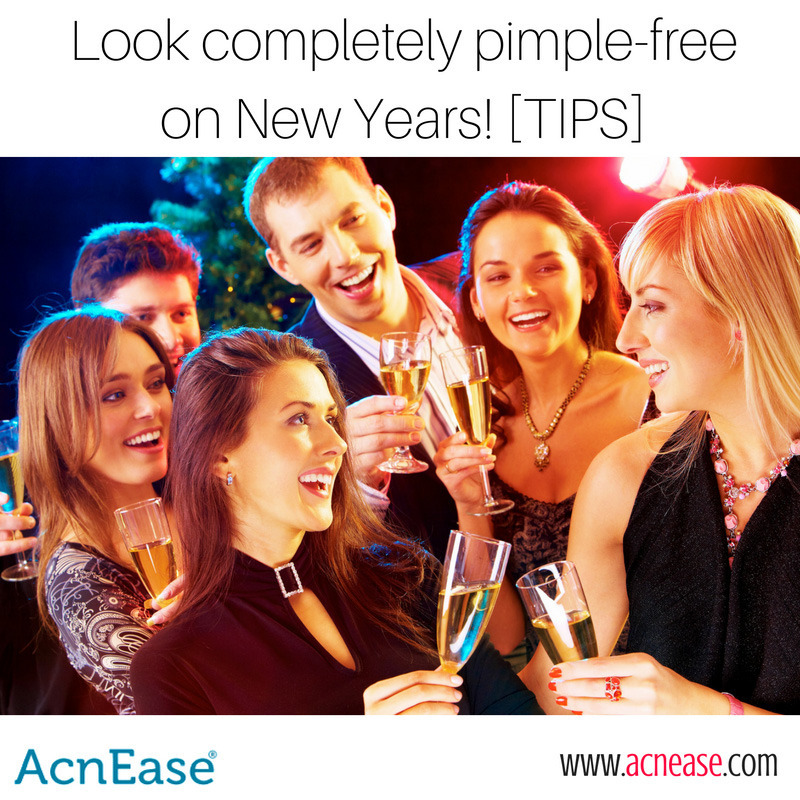 For anyone with acne, however, the stress and hustle of the holiday season can prove to be tough on skin. Now more than ever, people seem to be looking for safe, natural and effective ways to treat anything that ails them, from pain to digestive troubles to addressing their skincare needs, but how does a natural acne solution really work? In order to understand how acne can be treated, it’s important to become familiar with how acne works in the first place. 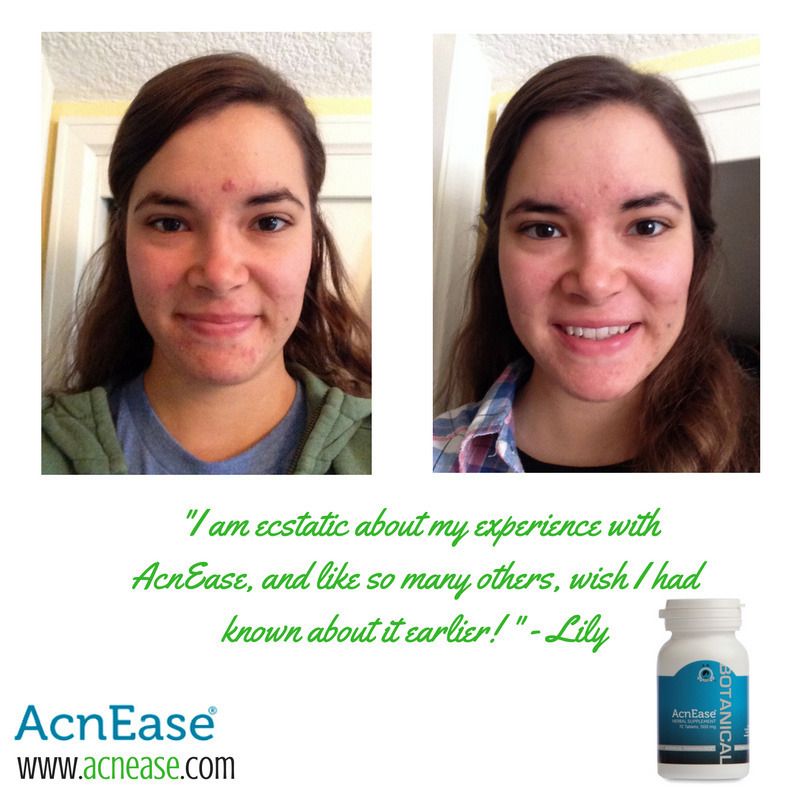 Acne is the most common skin condition in the United States, and affects people of all ages. 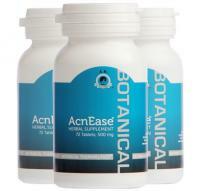 It is usually the result of a hormonal imbalance, which goes on to affect the sebaceous glands. These glands produce sebum, or oil, which travels along the hair follicle, or pore, to protect and nourish the skin. Some imbalanced hormones can trigger the sebaceous glands to produce more sebum than necessary, which become clogged within the pore on its way to the surface. When combined with dead skin cells, bacteria forms, which sparks an inflammatory reaction, resulting in symptoms called pimples. 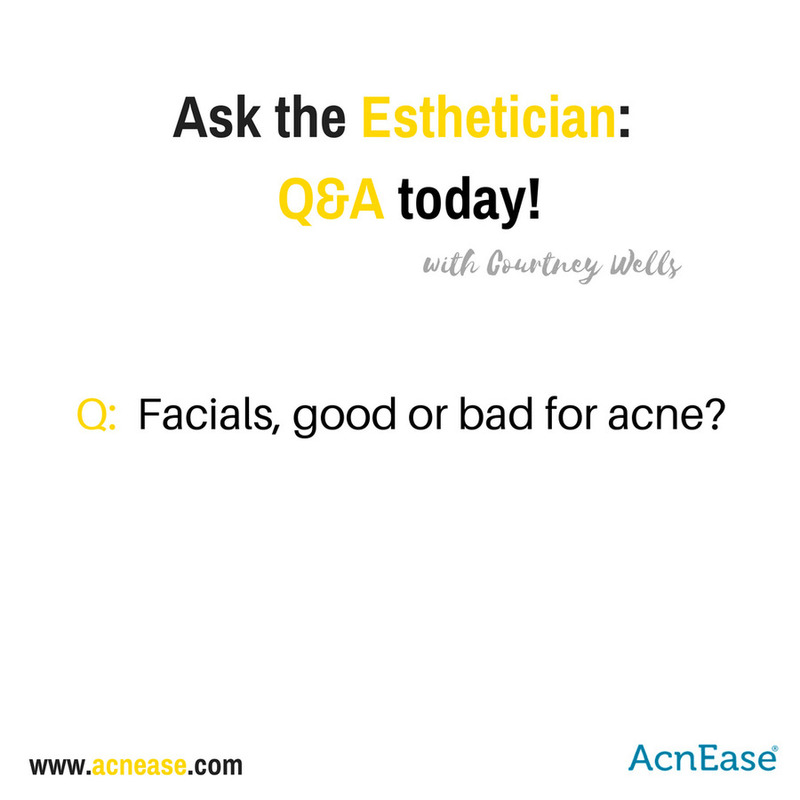 Q: Are facials good or bad for acne? I thought extraction was a “no-no”! Everyone I know loves getting a facial. But most people think of facials as something to do on a special occasion, like for their birthday, or with the gift card their friend or family member got them. Building a relationship with an esthetician that has a wealth of knowledge about skin can truly change your condition. Try to think of facials like you would going to the gym. It’s a part of your body maintenance that shouldn't be neglected. Many clients ask me how often they should get facials and my answer is different for everyone.